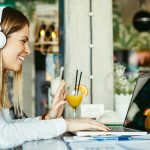 The ease of use and quality of video conferencing is constantly improving, making it a great way to connect with clients or team members without the expense and inconvenience of travel. 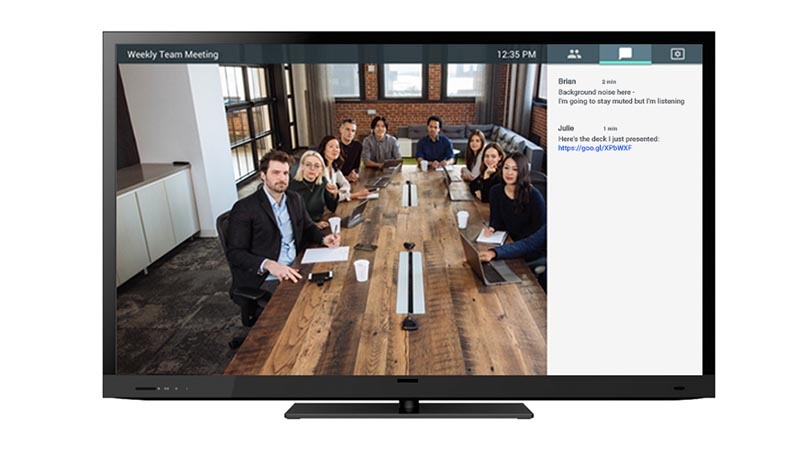 One company that is going out of its way to make video meetings as simple as possible is Google, with the introduction earlier this year of Hangouts Meet for businesses using its Business and Enterprise G Suite plans. Hangouts Meet does away with the need for you and your clients to have an account on the same service as you, and there’s no need for them to install any video software or plugins in order to join a video conversation (although they will need a Chrome browser). With Hangouts Meet you can just ping the same web link to your meeting to anyone you like and they can participate in a secure, encrypted, multi-person video call with you with a click of a button. It also has a few neat tricks up its sleeve, so here’s a quick rundown of what you can do with Google’s Hangouts Meet and a few ideas for you to get the best out of it. Hangouts Meet is designed around scheduling your calls, and it lets you do it straight from Google Calendar. Just invite people to the calendar event in the ‘Guests‘ area and click on ‘Add video call’ in ‘Event Details’ to create a video link. The participant can even forward on the link to other people, but they will not be able to join the call unless someone from your organisation gives them permission. Need a permanent record of what was agreed, or need one of your team to review what was discussed later? Once you’ve joined a meeting, just click on ‘More | Record meeting’ and the meeting’s video conversation will be saved in your Google Drive. The meeting organiser will also get an email with a link to the recording. Note, the participants on the call will be warned you are recording the conversation, so it may be worth letting them know in advance! It’s easy to share your whole computer screen (or just a window on that computer screen) with video participants just by clicking ‘Present’, making it easy to do quick demonstrations or collaborate on documents. You can also ping useful text and links using the Chat area. If there are sections of the meeting where you don’t need everyone to be involved, or you are sharing business-sensitive information, you can remove people by clicking on their profile on the filmstrip display. There will be times when you won’t be able to connect to the internet for a planned call. 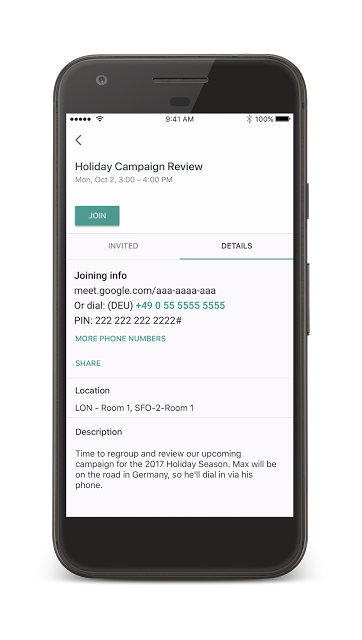 For moments like this, Hangouts Meet provides a backup plan – a localised phone number that is listed on the calendar listing and in the Meet app – that enables you to join in using audio only, ensuring you can still participate while on the move. Video-streaming software is only as good as the equipment you use to stream it. Fortunately, Google has bundled everything you need to get the best out of Hangouts Meet in one easy-to-use package. It includes a Chromebox, a touchscreen, and, of course, a high-quality speaker mic and Ultra HD camera. It’s designed to ensure the best experience possible for Hangouts Meet users, and the system can support up to 50 participants over five cameras. The 4K camera in the package offers a 120-degree field of view and uses machine learning to automatically keep people in shot. The Speaker Mic is designed to cancel out echoes and uses other excess-noise suppression techniques, so you get clear audio for every participant. 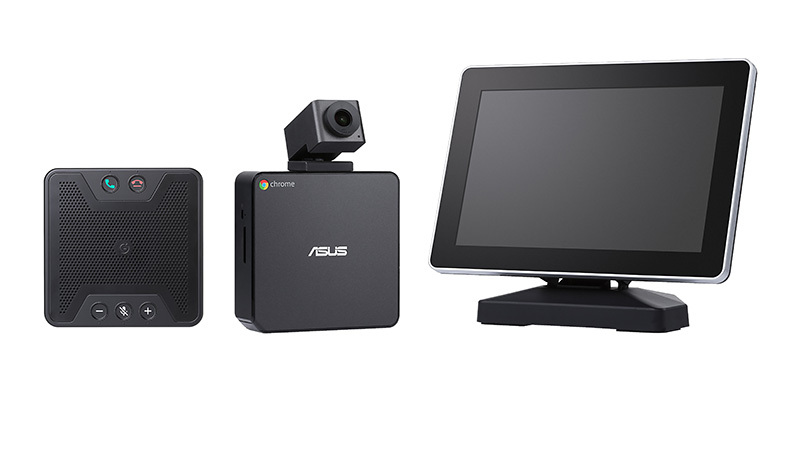 The bundled ASUS Chromebox is a Chrome OS mini desktop computer designed to monitor and manage other devices remotely, and acts as the hub to bring all the components together. 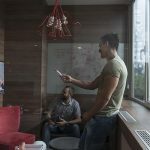 It’s all controllable by the simple-to-use touch display that lets you easily pin and mute team members, control the camera, and add extra participants. 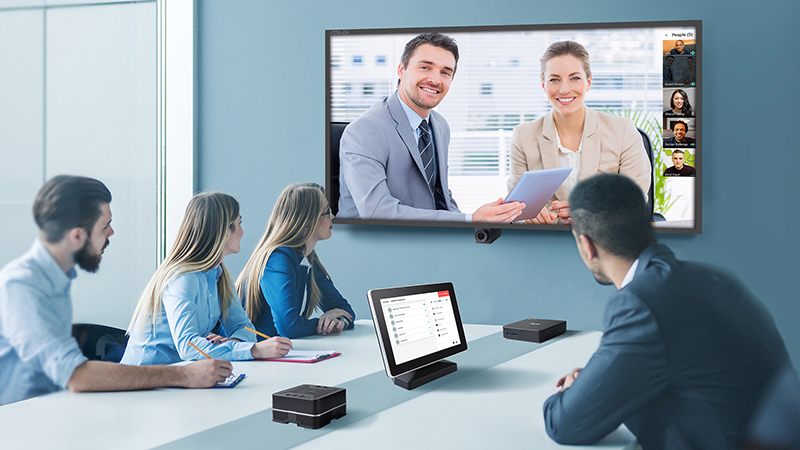 A noise-cancelling microphone, ultra HD camera, and Chromebox and touch display ensure you get all you need to run professional video meetings with up to 50 people.